1. 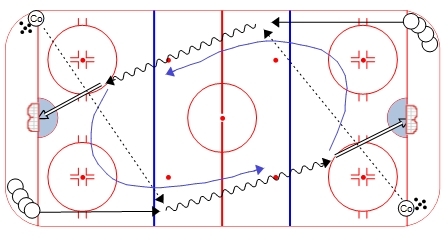 First player in each line leaves and receives a pass from the coach. 2. 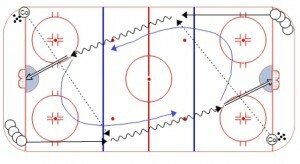 Each player skates full speed down the ice and takes a shot. 3. Next player in line can’t leave until the shot has been taken. 4. After the shot, the shooter will peel off and backcheck the next player in line.